Like water off a ducks back, Edoardo Molinari battled in vain in the torrential rain. 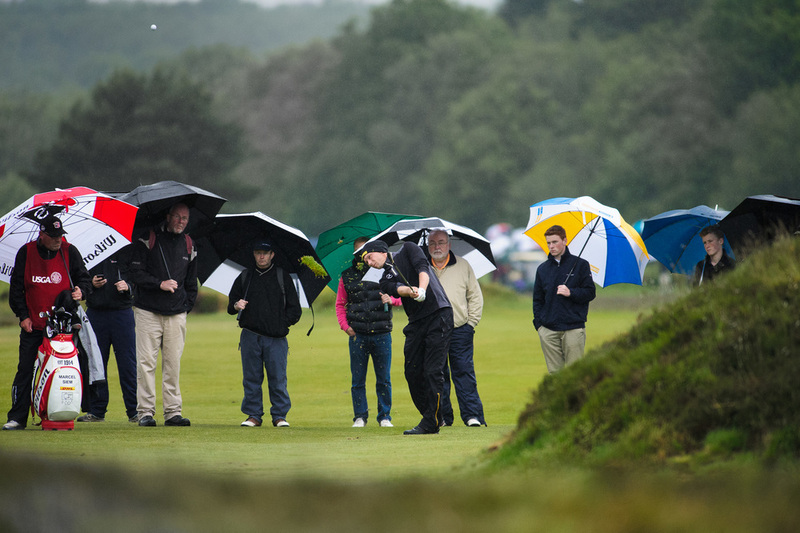 Despite the poor weather conditions the crowds enjoyed a great day at Walton Heath with free entry and no ropes to restrict movement, spectators got the opportunity to get right up close to some of the stars, many who had been playing at Wentworth the previous day. Marcel Siem made it through after showing good for at Wentworth last week making the most birdies of anyone in the field.